In the Ming dynasty, corruption is rife with traitors in power and war is imminent. In the northwest, widespread famine is claiming lives. The “Jade Raksha”, or Nishang (played by Fan Bingbing of X-Men: Days of Future Past), saves the victims by fighting corrupt officials. She is then framed for the murder of Governor Zhuo, and becomes a target of the court. Meanwhile, the head of the Non-Affiliated Party, Zhi Yanglu, chooses Zhuo Yihang (played by Huang Xiaoming) to be his successor. Yihang is sent to pay tribute to the Emperor with a red pellet. However, the Emperor eats the red pellet and dies. Yihang, too, becomes a target. Yihang encounters the Jade Raksha, Nishang, and they fall in love. Suddenly, he is captured and told that his new love had murdered his grandfather. This is a bitter pill to swallow. Yihang sets out to uncover the truth. Not long after, Nishang hears that he has sworn allegiance to the imperial court and has gotten married. Her grief causes her hair to turn white overnight. 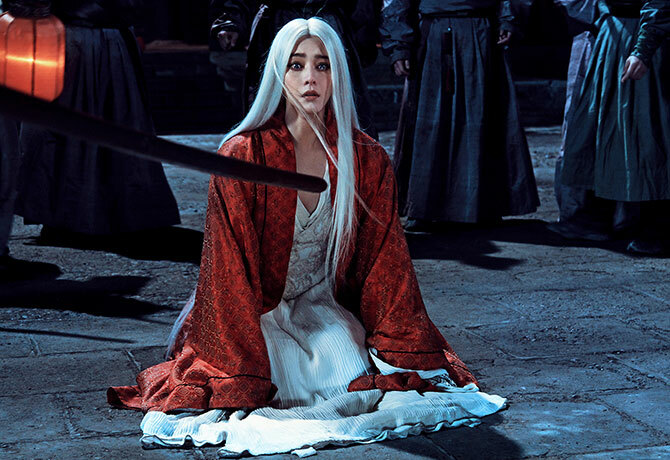 The movie was initially slated to be release in April but was delayed to avoid conflict with Iceman, which was produced by The White Haired Witch of Lunar Kingdom’s executive producer, Huang Jianxin. Fans can finally get to witness the much-anticipated cinematic reimagining of the classic tale during the Qixi Festival season, from which the romantic legend originated. This love story had previously been adapted into films and TV series; most notably, Ronny Yu’s The Bride with White Hair (1993) starring Lin Ching-Hsia and Leslie Cheung. Director Jacob Cheung and artistic director Tsui Hark (the same duo behind the blockbuster Flying Swords of Dragon Gate) bring breathtaking visuals in 3D and present a unique reinterpretation of the original 1950s novel by Liang Yusheng. The movie boldly carves its own path and bears little resemblance with past film and drama adaptations. You have to see it for yourself. 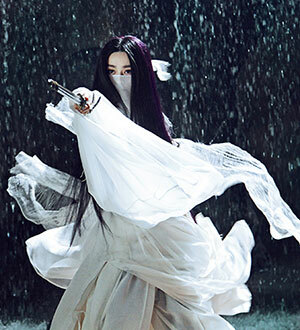 Fan Bingbing’s strong presence in the Chinese film scene (and recent Hollywood breakthrough) will be a huge draw. However, this time, the female lead will not just bewitch audiences with her looks. Playing a formidable vigilante-heroine, she will also unleash her cold-hearted side that’s just as riveting. Haired Witch of Lunar Kingdom is undeniably its love story. 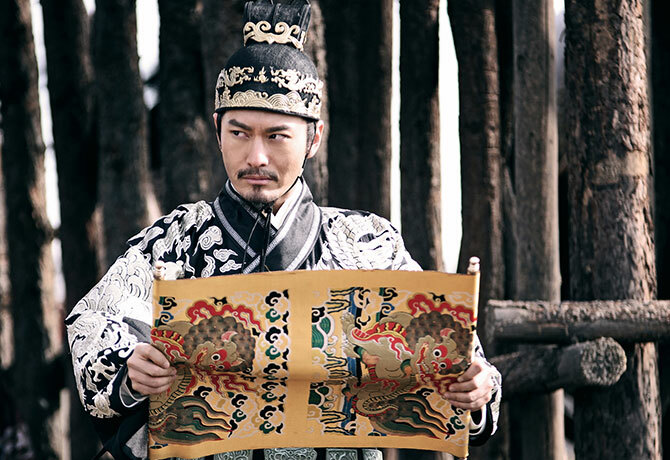 We all know that the Chinese are proficient at period drama and romance genres, and Wuxia enthusiasts will likely be excited by this tumultuous tale of the star-crossed lovers.